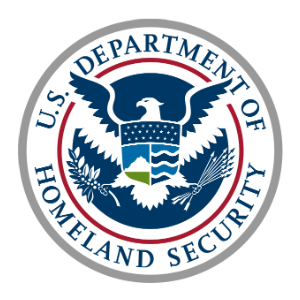 OST has been committed to a US Department of Homeland Security flood insurance program since 2003. We are the primary contractor assisting the customer with administering the program, which manages approximately 5.6 million policies encompassing more than $1.2 trillion of coverage. OST recently completed the migration of the customer’s IT system to a highly secure FedRAMP Government Owned Government Operated (GOGO) Cloud Infrastructure. This centralized the technology function and reduced complexity as well as cost while heightening the system’s resilience and security. OST also transitioned in as the operations and maintenance service provider, implementing our efficient DevOps processes and shifting towards an Agile development methodology. OST provided IT and managed services expertise in system architecture, development, modernization, specialized business services, process optimization, and migration, followed by operations and maintenance services for our customer. When OST began working on the project, the customer had multiple legacy systems residing in various locations. OST proposed the consolidation and migration of the systems to a FedRAMP GOGO Cloud Infrastructure. This centralized the technology function and reduced complexity as well as cost while heightening system resilience and security. Today, OST manages IT systems consisting of hundreds of software, hardware, and network computing resources. OST quickly implemented our high-efficiency DevOps model for the maintenance and development of an error-prone 35-year-old legacy computing environment. In our first major software release — only three months after assuming full operational responsibility — we led a seamless deployment that significantly reduced operations errors. Today, we continue to implement in an agile development framework, enhanced configuration management solution, dedicated test environments, reduction in technical debt, reports optimization, and automated testing to support our quest for system efficiency. From an IT perspective, OST has improved system and service quality and reporting to assist the government in making data-driven decisions. Our move to the GOGO data center gives the government near-real time disaster recovery, robust physical and technical security, a platform for growth of enhanced customer services, lower costs of operations and maintenance, and operational efficiencies.